Sure we all know that a successor is already on the way, but if you can’t wait for its arrival, then you just might want to pick up a pre-order for the HP Pre 2. 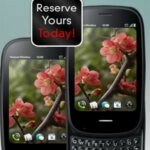 The latest webOS powered device is now positioned to ship out starting on February 17th for $99.99 with a 2-year agreement. Of course, Verizon will be the carrier of choice for this one, but interestingly enough, there is still no pre-order page up on Big Red’s web site regarding the handset. Meanwhile, you’ll have to fetch your pre-order directly from HP, but as we all know, coming to the conclusion of siding with the HP Pre 2 is going to be rather difficult since the Pre 3 has been announced. Regardless of that, if you don’t want to sign your life away for the next two years, you can always resort to forking over $439.99 for the full price of the model. so they launch the pp2 a week after the iphone4 and will launch the pp3 a week after the iphone 5? genius. are they not known? pre 3 is said to be out first half of '11. iphone 5 will launch in june (just like the last few iphones have). it will be around the same time. webOS is awesome. you certainly wouldnt own a pre for the hardware or app selection. its partially a let down because its not everything i wanted. even more so because there will be no dev support and webOS still wont have any apps. I think it's pretty obvious Verizon isn't going to push this one. It's just another option for people who DON'T want an iPhone. People who don't care what OS is on their phone, they just want something compact and friendly (and with a decent keyboard). Now the Pre3 might actually give the Droids and iPhone a run for the money... for people who still don't care about app stores and OSes. How many times have you seen WebOS in the news? It may be the best OS, but the majority of buyers don't know about it. Everywhere you look it's iPhone or Android. 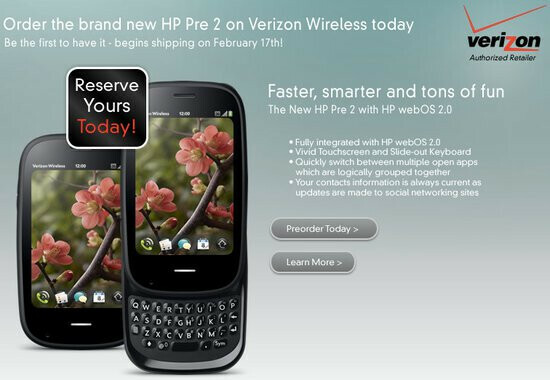 WebOS is not a selling point. This reminds me of OS/2 Warp... who cared if it was better than Windows 95 and MacOS if nobody used it? Exactly why people should skip this device and wait for the Pre3. There are small improvements from the Pre to the Pre2 but big changes going into the Pre3. Everything I have seen on palms website and at work indicate that the phone is going to be $49.99. I'm trying to figure out where you are getting your information.